When it comes time for AC replacement, Fred’s Heating and Air has the knowledge, experience, and customer focus to make the process as easy as possible. Our Comfort Advisers use a no-pressure sales approach that keeps our customers confident and in control. After listening carefully to your specific comfort concerns and what you want to accomplish, we will offer multiple options to fit your unique needs and budget. We have excellent financing options that help make your Omaha AC replacement surprisingly affordable. Our installation teams have installed thousands of comfort systems in and around Omaha and will treat your home or business as if it’s their own. Our focus on continuing education and on-going training of our staff make sure that our installers are the best around. They can perfectly execute your project should you trust us with your comfort upgrade. Our 30-year track record and thousands of loyal customers show that we stand behind everything that we do. We have unmatched follow-up processes where we will actually contact you over the course of time to make sure you’re happy with your new air conditioner and it’s performing as was expected. We also offer exclusive warranty and maintenance options to give you “peace of mind” and help protect your investment for the long haul. Our focus on balancing unmatched HVAC expertise with an intense focus on customer care is what sets us apart. We’re proud to say that we’re the most positively reviewed Trane Comfort Specialist in the Omaha area and we focus on improving every single day to better serve our customers. We carry only the best air conditioning units for your home or business. 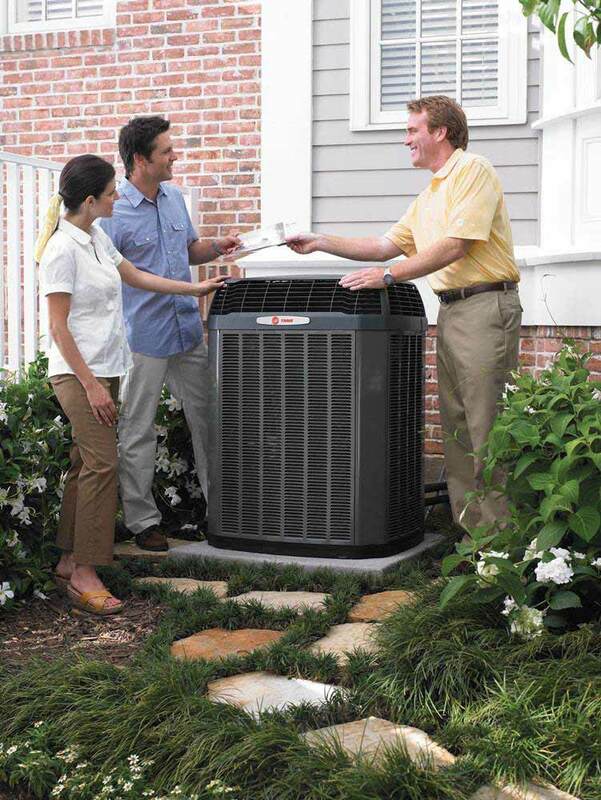 We install an extensive line of industry-leading Trane cooling products. A Trane air conditioner allows you to rest comfortably knowing that you’re going to stay cool even on the hottest days of the year. Not only is Trane one of the most respected manufacturers of comfort systems and components, but they also have strong warranties available to help protect your investment over the course of time. Trane’s high-efficiency AC and heat pump models will also save you money on utilities, month after month!